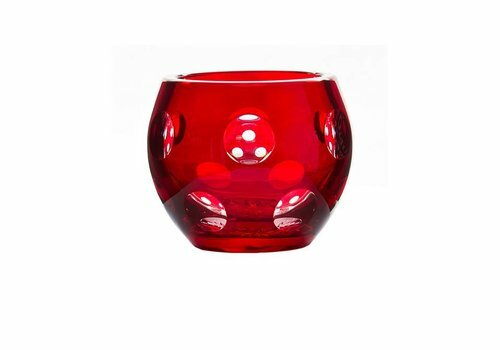 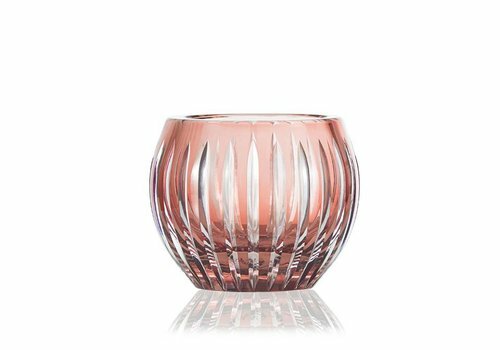 Featuring candlestick holders for any occasion; from a coloured candle votive for tealights, to candleholders for memorable wedding gifts Gurasu candleholders are an illuminating gift as well as a stunning edition to your home decor. 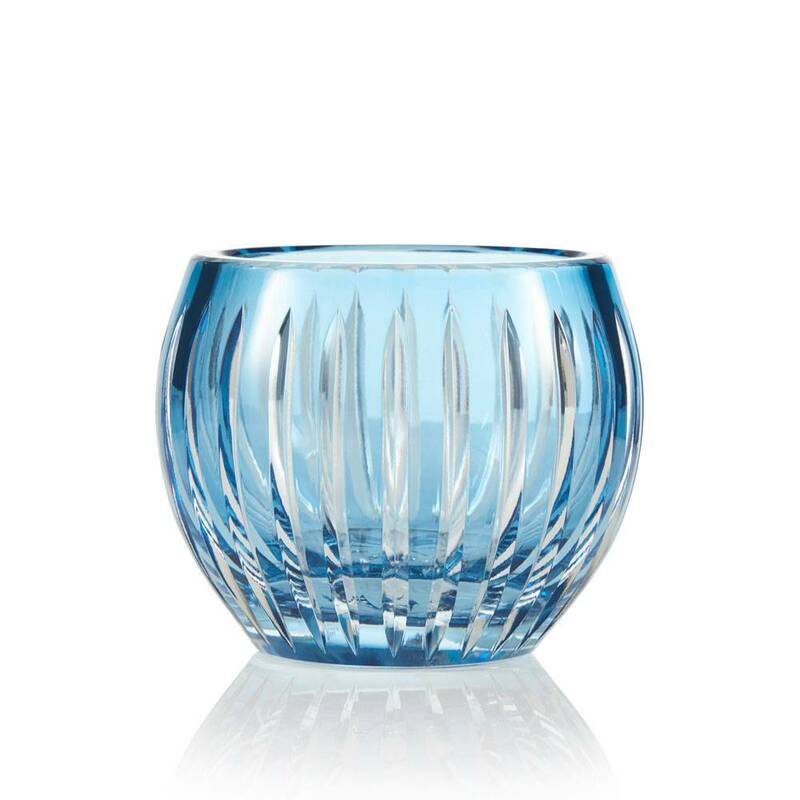 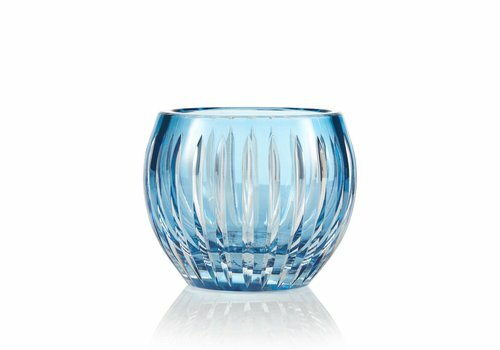 This modern and sophisticated crystal votive in sky blue was designed for a tea-light candle, small bouquet of flowers or a mini plant. 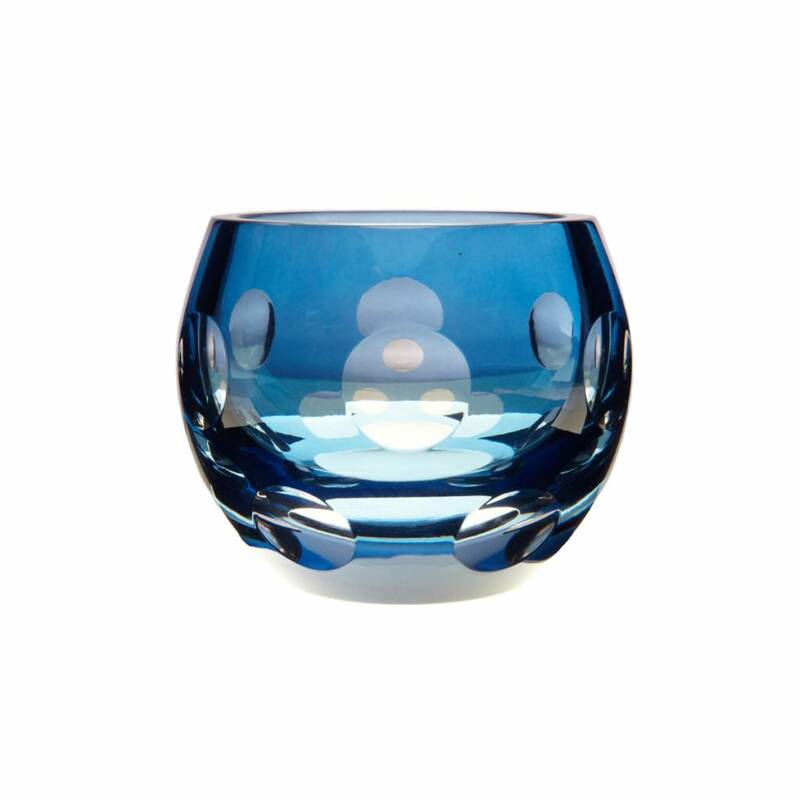 It combines the contemporary cut with a significant weight and stability. 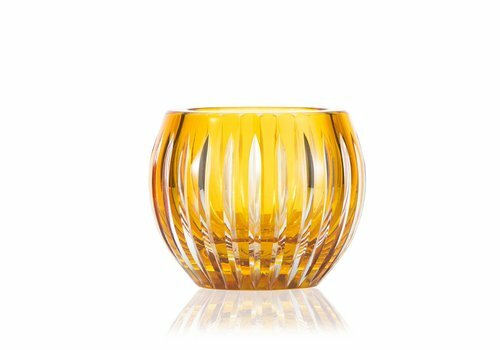 This stunning, modern and sophisticated crystal votive in amber/orche was designed for a tea-light candle, small bouquet of flowers or a mini plant. 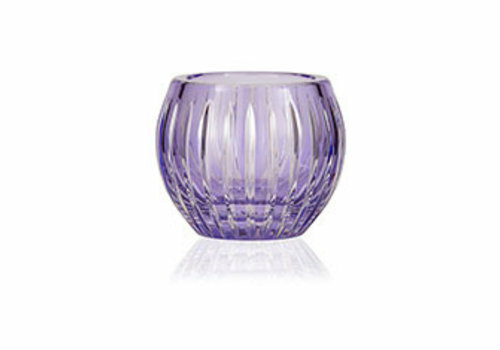 It combines the contemporary cut with a significant weight and stability expected from crystal. 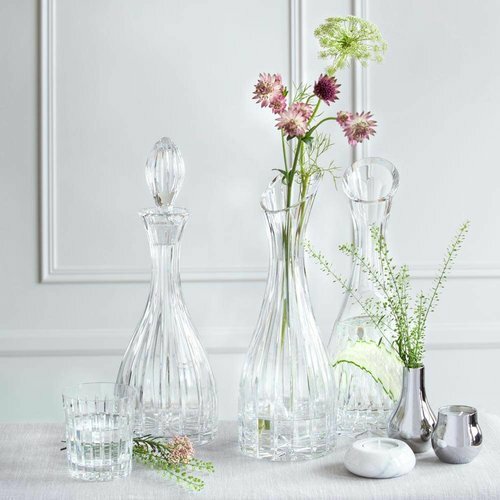 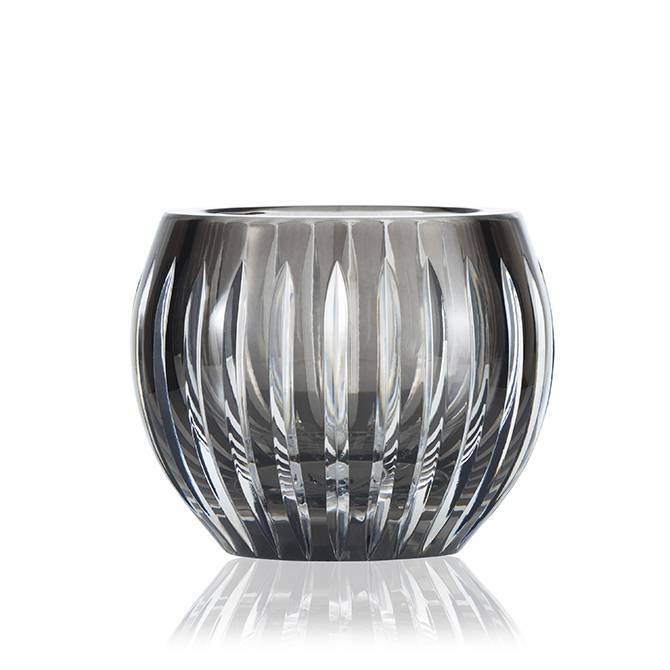 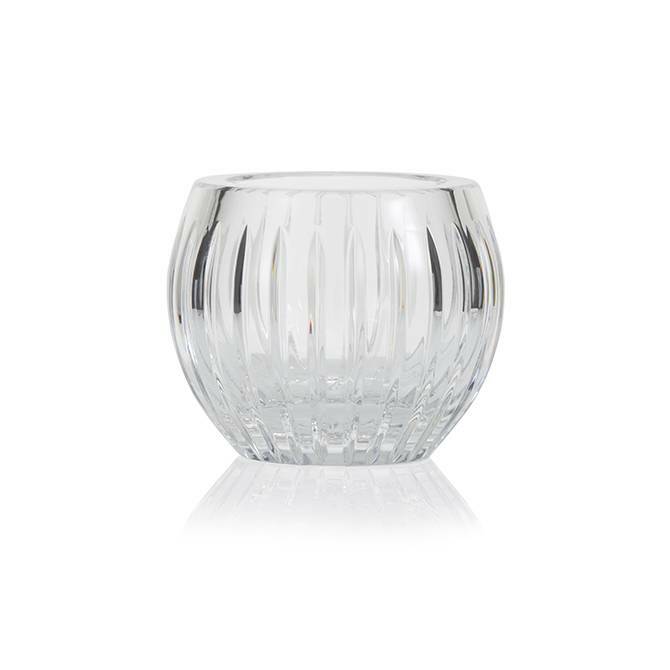 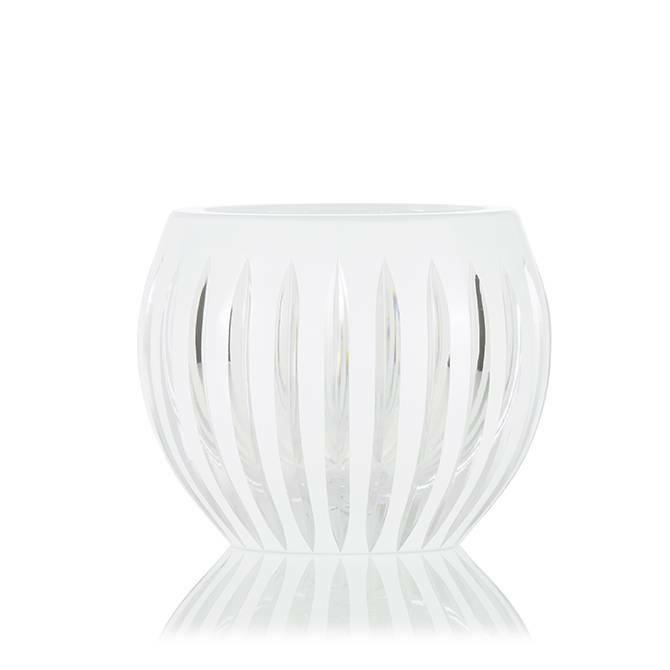 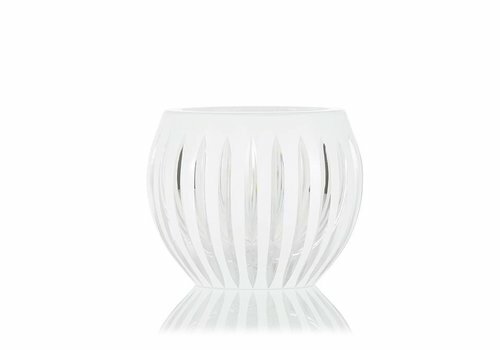 This modern and sophisticated crystal votive in white was designed to be used as a tea-light candle holder, a small bouquet of flowers or as a luxury plant pot. 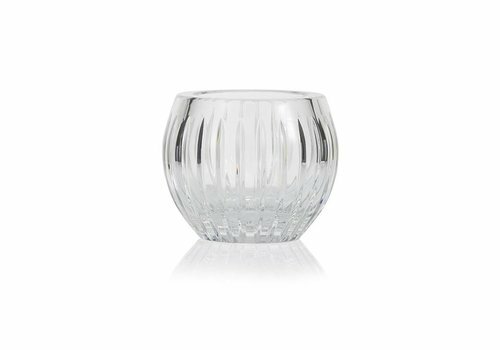 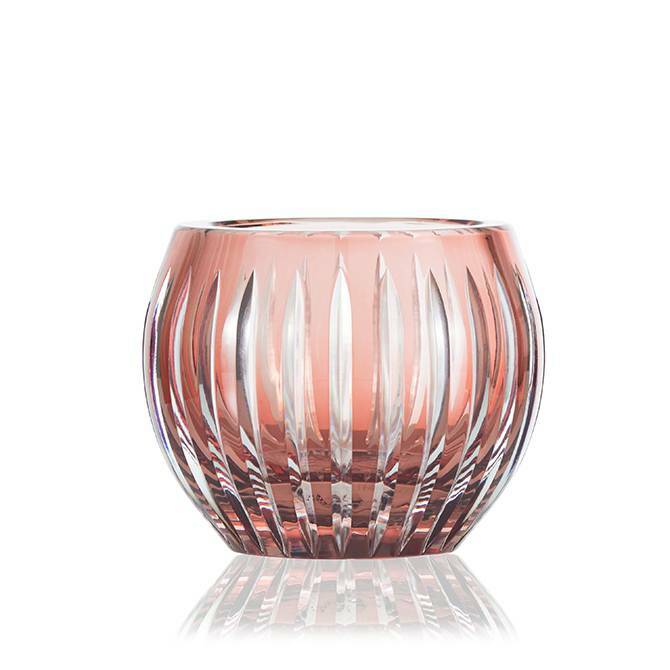 Add warmth and elegance to your table with this sophisticated crystal votive in clear crystal designed for a tea-light candle or a flower. 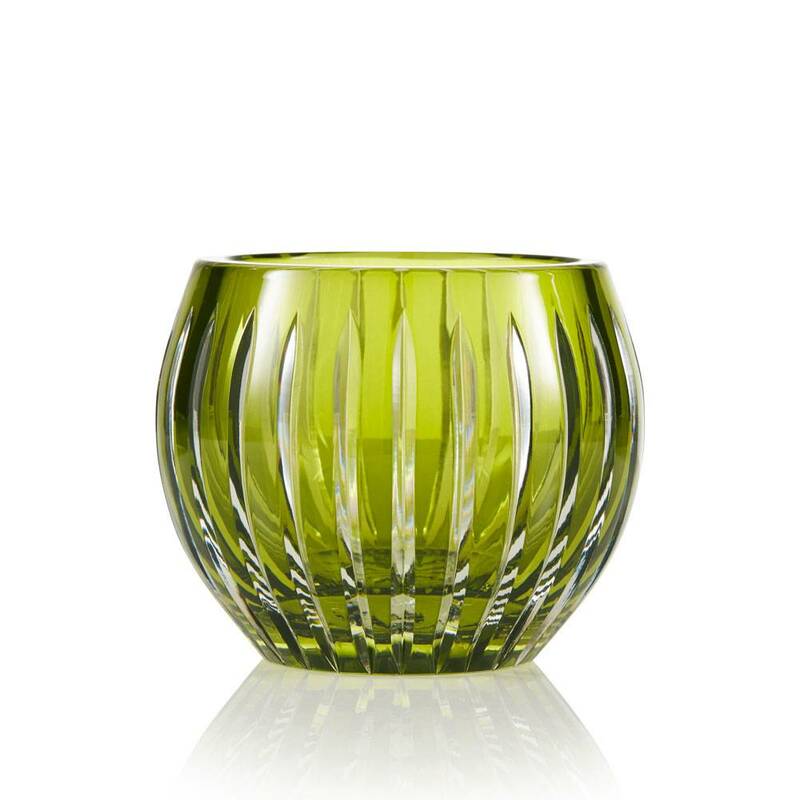 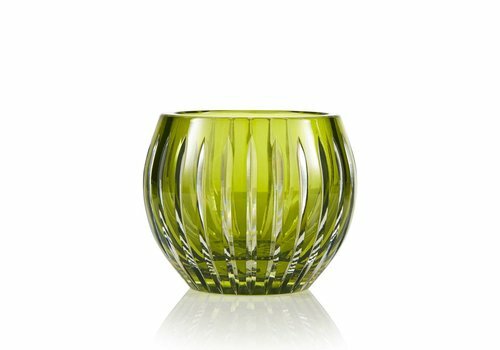 This stunning, hand made, sophisticated crystal votive in olive green was designed for a tea-light candle, small bouquet of flowers or a mini plant. 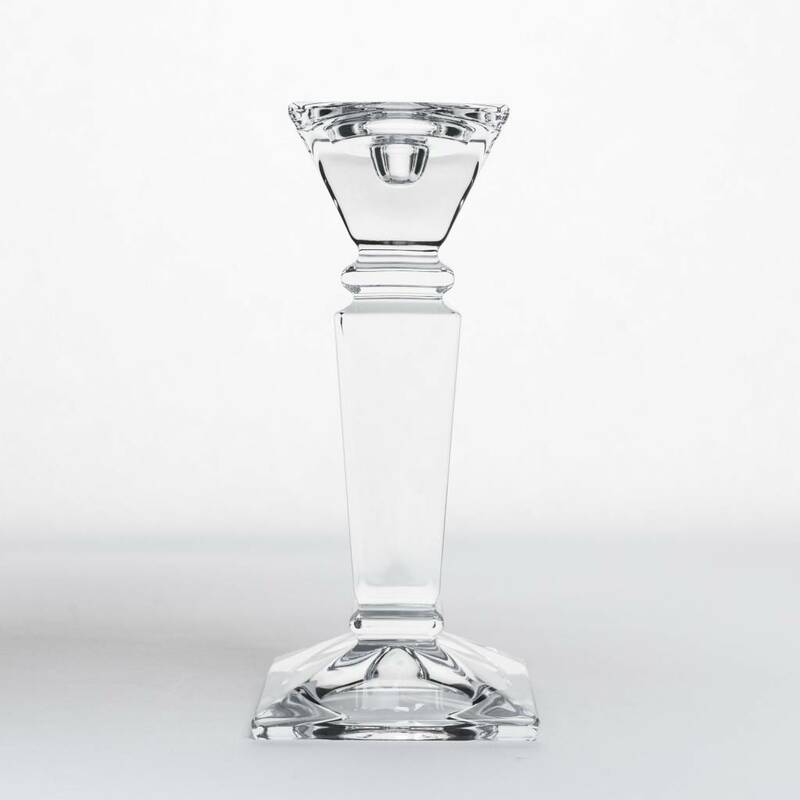 It combines the contemporary cut with a significant weight and stability. 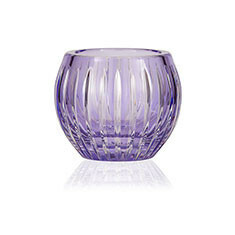 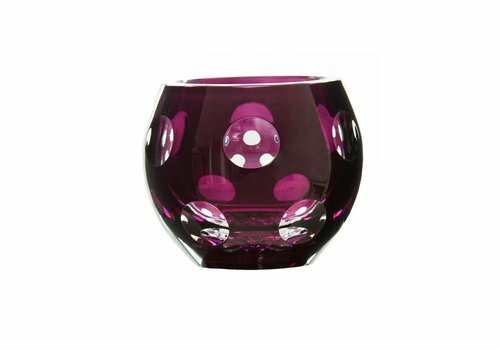 Tealight Candleholder in aubergine or dark amethyst with a hand cut, dimpled pattern on crystal. 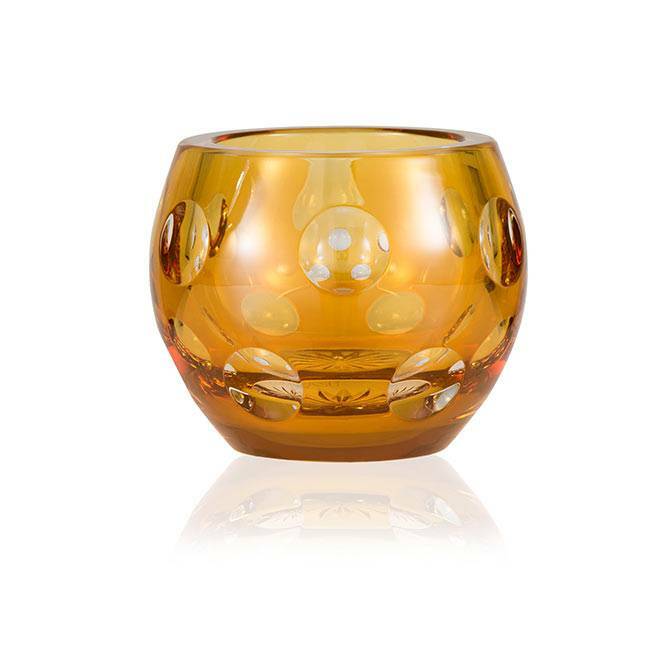 Both the cut and the dipped surface of this crystal votive react beautifully in the flickering golden candlelight. 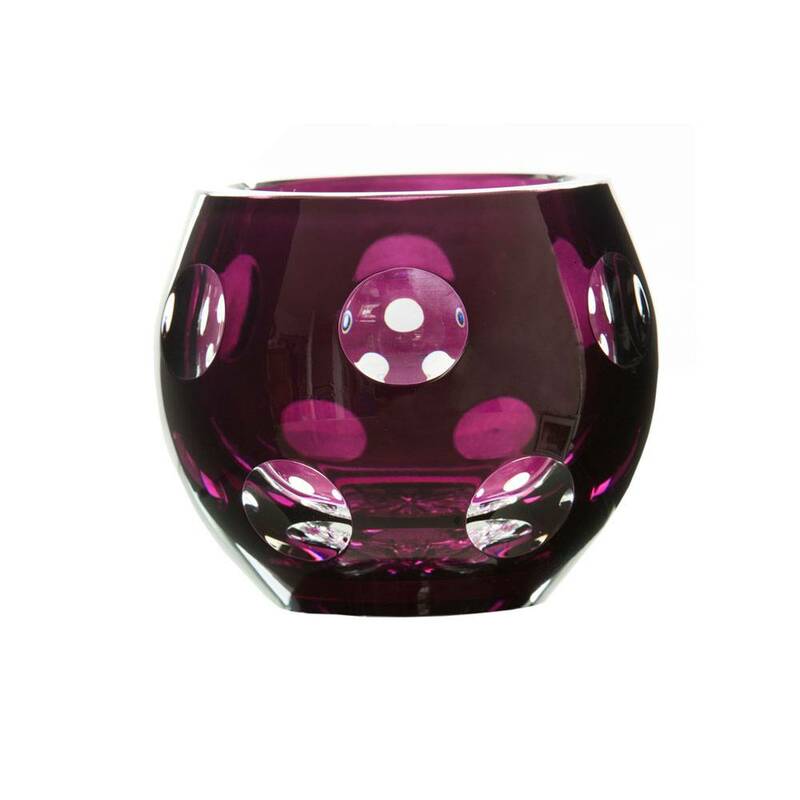 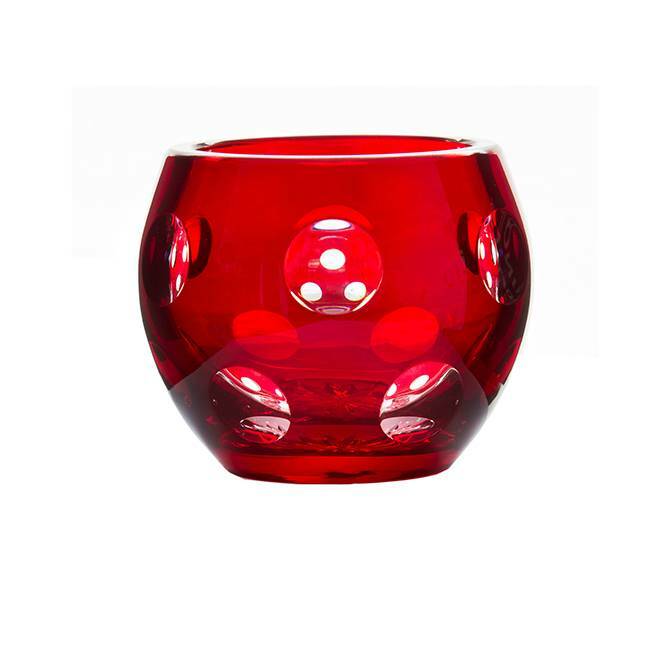 Cranberry coloured crystal looks particularly lovely with candlelight. 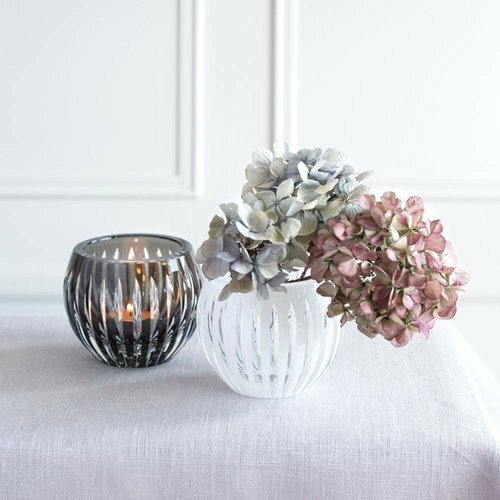 Dot some of these around your evening table or on a mantelpiece and you’ll find endless uses for them. 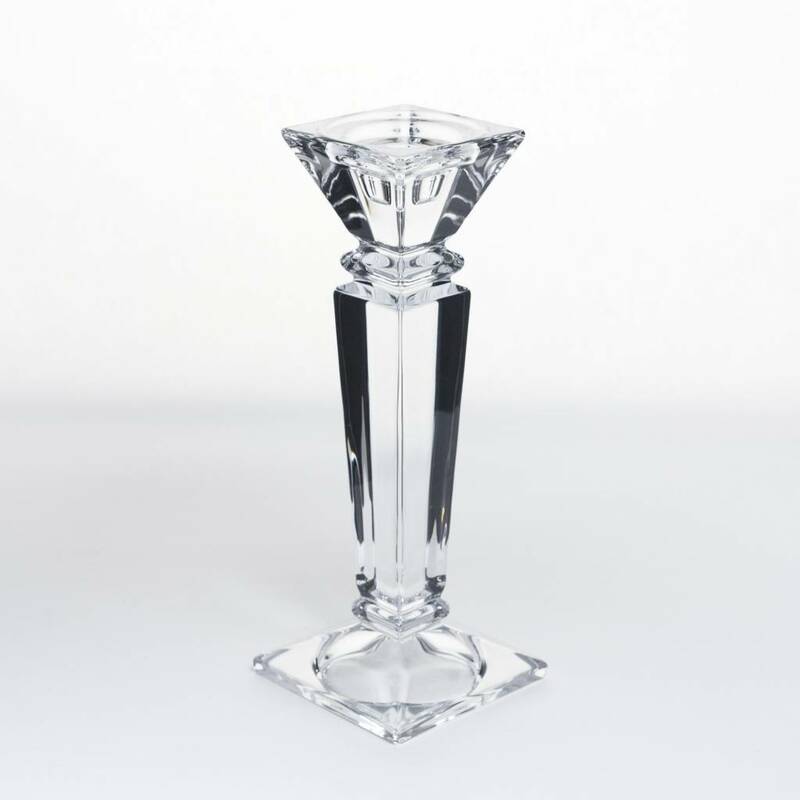 Tealight Candleholder in Smoke with a hand cut, the dimpled pattern in crystal. 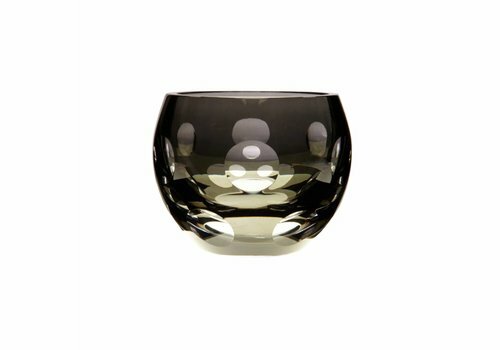 The cut and the dipped surface of this crystal votive react beautifully in the flickering golden candlelight. 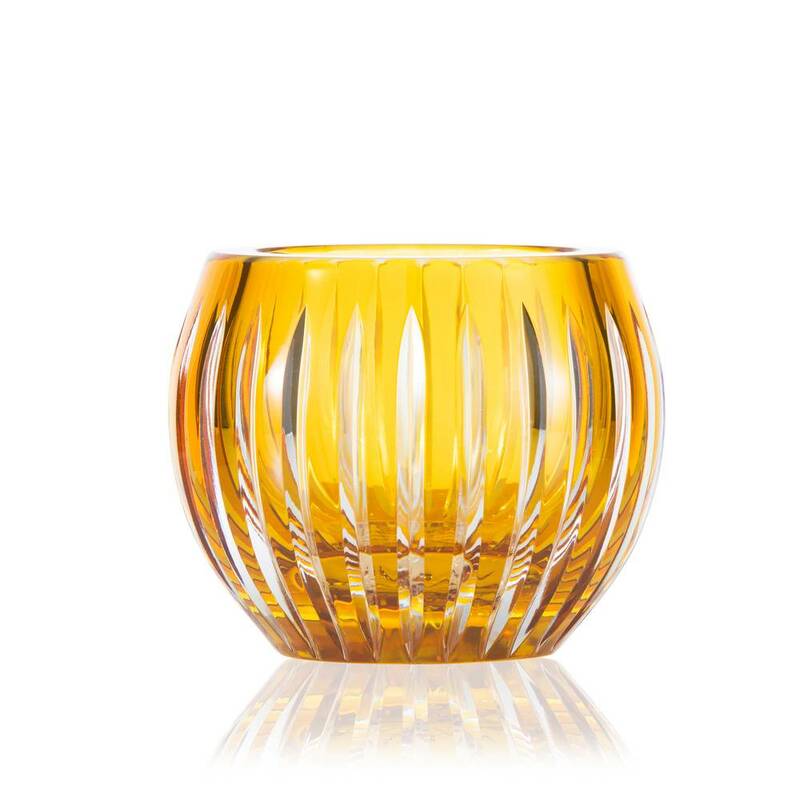 Tealight Candleholder in Amber / Orche with a hand cut, dimpled pattern in crystal. 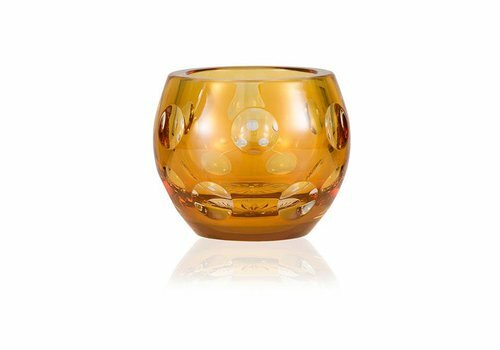 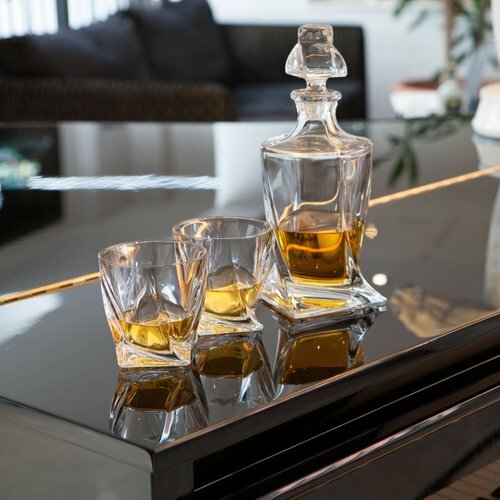 The cut and the dipped surface of this crystal votive react beautifully in the flickering golden candlelight. 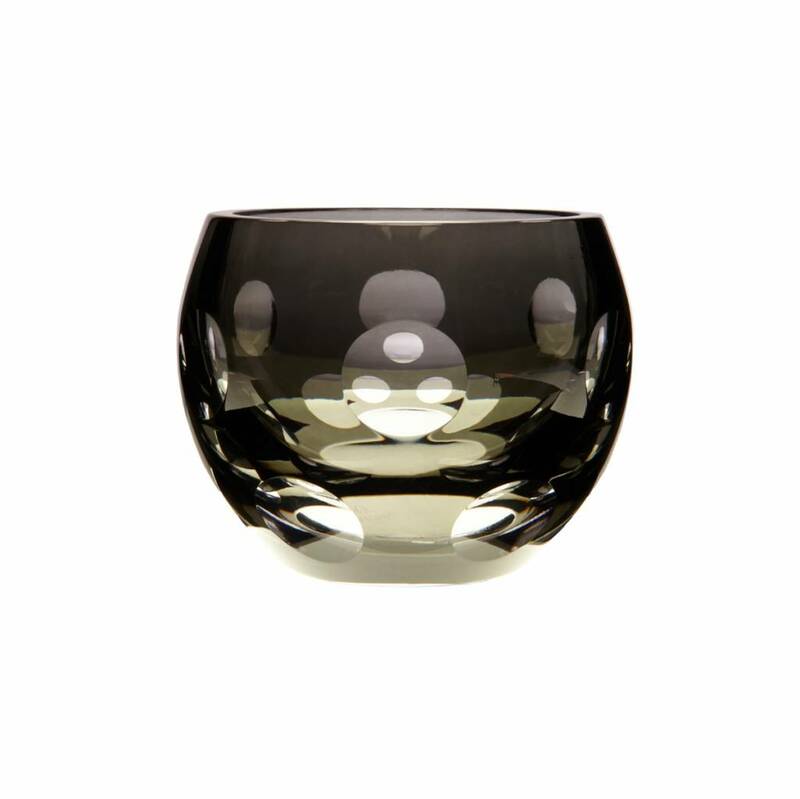 Smoke coloured crystal votive looks particularly lovely by candlelight. 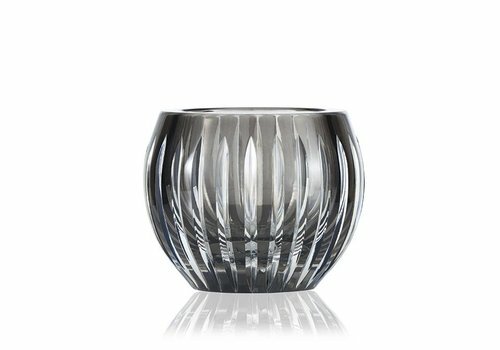 Put some of these around your evening table or on a mantelpiece and you’ll find endless uses for them. 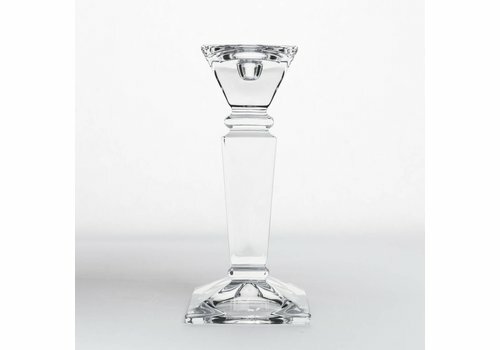 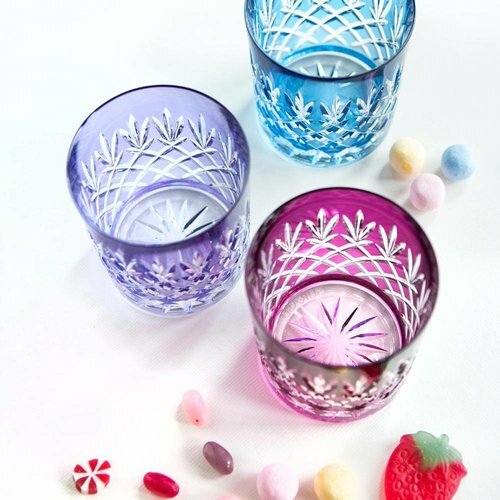 Gurasu Crystal candleholders are a delightful addition to any dining table. 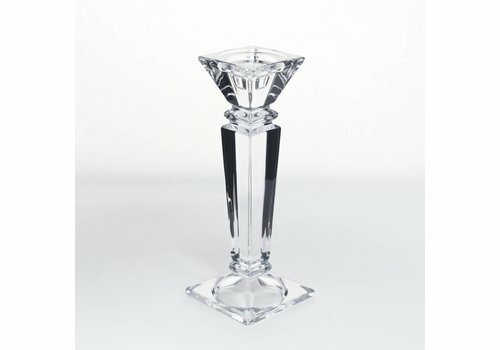 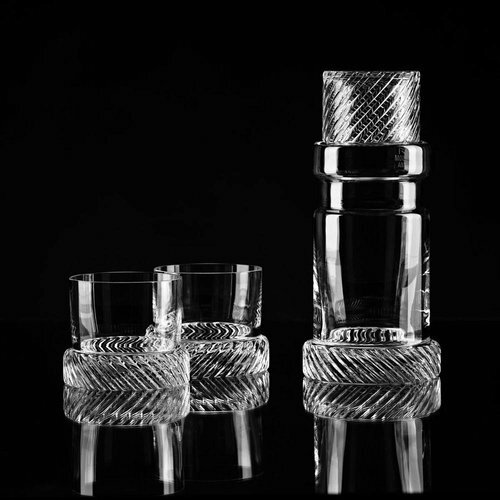 This range of crystal candleholders, candle pillars, and candlesticks are detailed with new geometric patterns as well as more “silhouette” elegant pieces. 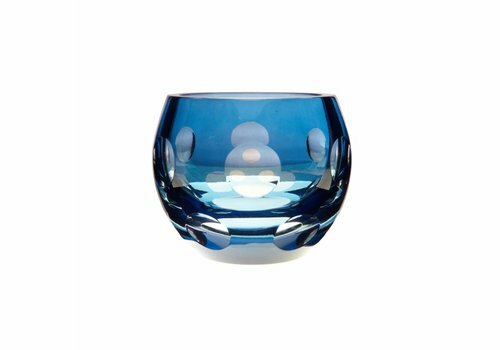 Featuring candlestick holders for any occasion; from a coloured candle votive for tealights, to candleholders for memorable wedding gifts Gurasu candleholders are an illuminating gift as well as a stunning edition to your home decor.